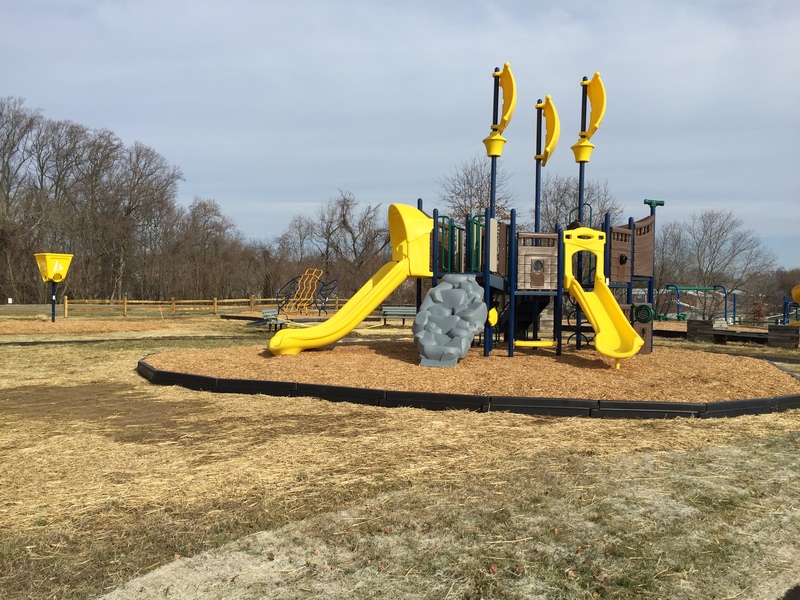 The Maryland Department of Natural Resources announced the awarding of 26 Community Parks and Playgrounds Program grants – totaling $2.5 million – to local municipalities across Maryland. From new playground equipment in Bowie and softball field lights in Delmar to tennis court repairs in Friendsville and new basketball courts in Vienna, the program provides essential state funding for the creation, enhancement and renovation of local recreational amenities and facilities in Maryland’s incorporated cities and towns. Replace existing underutilized volleyball court with a basketball court. Purchase and install new playground equipment and safety surfacing. Purchase and installation of playground equipment and safety surfacing. Purchase and install playground equipment and safety surface. Rehabilitate existing recreation area including: walking path, road and parking, half basketball court, pavilion, play equipment, park amenities and lighting. Construct improvements to existing marbles courts and renovate the restrooms and walking paths to enhance Americans with Disabilities Act accessibility. Install stadium lighting for softball field. Upgrade 20+ year old lighting and electrical service to football field. Renovate existing 20+ year old basketball court and purchase and install basketball goals. Repair the tennis court, upgrade the walking trail and install a picnic table and trash containers. Renovate restrooms and basketball court and construct an arboretum. Purchase and install new playground equipment, gazebo, game tables, outdoor exercise equipment, solar lighting and trash receptacles. Replace multipurpose court, fencing and pathways. Construction of a half basketball court and the purchase and installation of grills. Purchase and install a new picnic shelter with two picnic tables, a trash/recycling station and grill. Purchase and install additional exercise stations around the lake. Purchase and install new playground equipment and safety surfacing, gazebo, picnic tables, bike rack and signage to establish a new park. Purchase and install new playground equipment, benches, bike racks and other amenities. Resurface 20+ year old tennis and basketball courts. Pave 0.3 miles of trail in park. Construct pathways, additional parking and meditation areas and purchase and install instructional signs for existing exercise equipment. Purchase and install a new playground and safety surface. Purchase and install a new playground, picnic table, benches, trash cans and construct a new Americans with Disabilities Act accessible path. Construct a new multi-use playing field and a new 50 space parking lot. Replace pavilion roof and purchase and install benches and picnic tables. Pave existing basketball court and purchase and install 3 freestanding playground rockers. The department is now accepting grant applications from cities and towns looking to enhance or rehabilitate local parks and playgrounds in their communities. Applications for Fiscal Year 2020 funding are due Aug. 15, 2018.